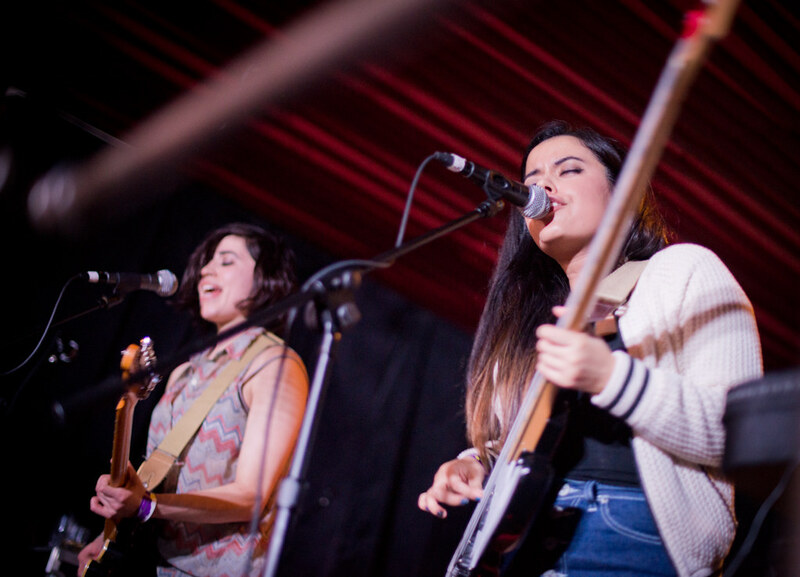 Vic and Gab performs at The Soho House at SXSW. We first saw this sister dou at SXSW earlier this year. With their cool and refreshing indie-pop, their songs are ohhh sooo catchy. For Tegan and Sara fans, Milwaukee's own sister duo Vic and Gab should be added to your playlists. And just like the Canadian twin sisters, these sisters also trade off and share vocal duties. Infectious playful songs that are beat and bass driven are their forte along with their sweet harmonies that barely rise above a sultry whisper. They just released their new video for "Love of Mine" directed by Betty Allen. Check it out below. "Love of Mine" official music video by Vic & Gab.